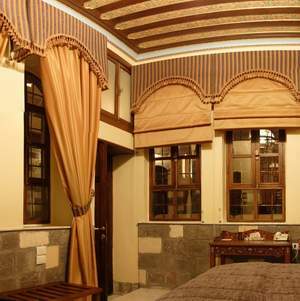 The Beit Rumman Boutique Hotel Damascus is surrounded by the oldest historical sightseeing in the World. St. Hanania, St. Paul, Bab-Kissan, John the Baptist, and The Roman Catholic Cathedrals and Churches are all 10 minutes walking distance from the hotel. 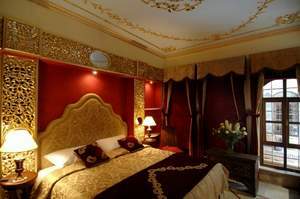 The Omayyad Mosque, which is the first monumental work of architecture in Islamic history, Beit Rumman Boutique Hotel Damascus is located 15 minutes walking distance to the south from the hotel. The old Souque and covered market is also close by where your shopping would have a great atmosphere through passing via the spice, textile and aghabani markets. 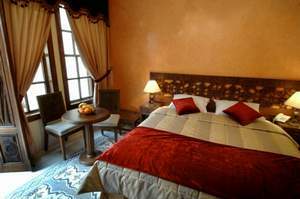 Beit Rumman Boutique Hotel Damascus is located right at the main street of Babtouma, in the heart of the Old City with a walking distance to major attractions such as The Umayyad Mosque, John the Baptist grave, Hananyia and St. Paul Churches, and the Old Bazar Market, this cozy boutique hotel has been carefully restored to capture the life style of the ancient City of Damascus while providing its guests with a comfy and homey ambience. 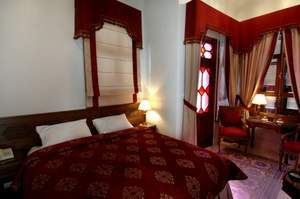 The traditionally-styled architect of 17th Century with its 6 bed rooms, private terraces and historical cheese and wine basement, are individually garnished with original arches, hand-made ceramic (Kishani), carved stone (Ablaq), intricate hand-painted ceilings, shell-designed doors and moucharabieh woodwork. 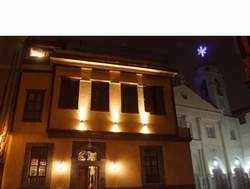 This beautiful boutique hotel has a unique sunny petite courtyard with a centered pleasant water fountain rich with extraordinarily artistic details, where the essence of the Jasmine and Gardenia inspires you to travel back through time. Though newly launched, Beit Rumman family members are keen to make their guests enjoy their stay in, and to extend all assistance and hospitality to make their stay in unforgettable experience. We aim at keeping this place a home rather a hotel.